Cabarete, Dominican Republic has been a popular windsports destination since the 80s. It all started when some windsurfers got stoked on the trade winds, but it wasn’t too long before the new (back then) sport of kiteboarding came blowing onto the scene. Thanks to all the hustle and bustle, the prime location, and an array of fascinating characters, our hotel has transformed from a windsurfing shack into a Cabarete landmark. This year marks 20 beautiful years in this town, and we have been celebrating all year long with social media contests, throwback photos, media appearances, seaside parties, and a series of blog posts that highlight some of Cabarete’s most beloved characters. In this rendition of our Cabarete Icons series, we gush over Wilson Tavares, Cabarete’s very first pro-kiteboarder. At the age of 14, Wilson was already working as a “beach chair handler” at the old Tropical Goleta resort in front of La Cienega, the neighborhood where Wilson, and many other local kiteboarders, grew up. One windy day, young Wilson saw this tall blonde guy come sliding up on the beaches of the resort with a kite in hand and in need of someone to land his kite. So, even though young Wilson had never done so before, Wilson landed his kite. That tall blonde guy turned out to be the young and frisky Bavarian waterman, Marcus Bohm, future founder of Master of the Ocean. Wilson had no way of knowing that this encounter would eventually change the whole course of his life. Marcus was a well-traveled and well-seasoned waterman by the time he arrived in Cabarete, having been wooed to the island by a job at a German windsurf shop. Over the years, Marcus went on about doing as much as he could for the local community in honor of how they had accepted the young stranger with open arms. Wilson was one of the many young locals touched by Bohm’s form of payback. “Marcus taught me everything I know,” Wilson explains. It didn’t take too long before Wilson beat a sponsored Naish Rider in a competition, catapulting him to notoriety. In a time when Robbie Naish and Pete Cabrinha were worshiped like Gods, this victory of a no-name island boy was a game changer. 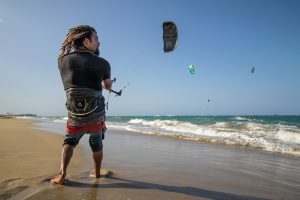 Before he had time to pump up his 10m, Wilson was traveling the world competing on the dime of his sponsors, Brunotti Boards and Gaastra Kites – thus becoming the first pro kiteboarder from Cabarete, Dominican Republic. 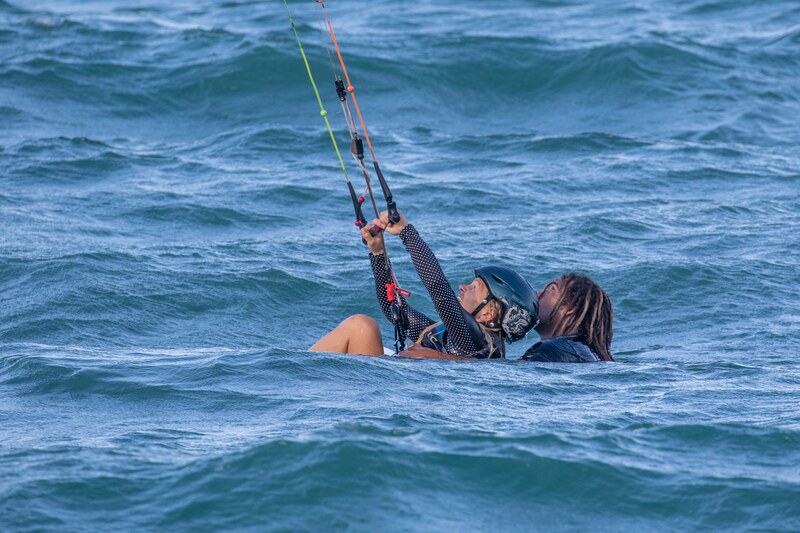 For five years straight, Wilson Tavares shredded the deep blue on his beloved quiver of 2-line kites. Brunotti treated him like a rock star by letting him walk out of their store with anything he wanted and, to top it all off, he got paid $800US every time he landed a photo in a magazine. He chuckles, “I made sure I got in every picture!” Even better, eventually Tavares got to travel the world doing what he loved with some of his best friends and Brunotti teammates from Cabarete: Luciano Gonzales, José Luis Ciriaco, and Susi Mai. He traveled the world meeting up with new talented riders like Ruben Lenten and Youri Zoon (who are now kiteboarding legends). “Those were the best times,” he reminisces. As we all know, life has its ups and downs, and when Wilson’s girlfriend/manager got pregnant with his son, some health complications beckoned Wilson back down to earth to help take care of his first born. The difficulties meant moving to Germany and leaving the kite life behind for a while. When he returned to the kiteboarding scene things had changed. People were riding 4-line kites, and Wilson’s learning curve put him behind the rest of the pack and pushed him slowly off the map. So, maybe Wilson didn’t have the chance to move on to be the next world champion. 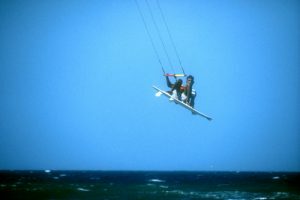 He was forced to take up an “average” life back home in Cabarete (as average as living on the beach as a kite instructor can be). But, as the old saying goes, everything happens for a reason. 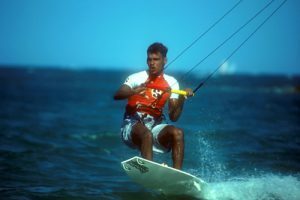 Wilson has grown from a traveling pro kiteboarder into one of the most respected instructors in Cabarete. 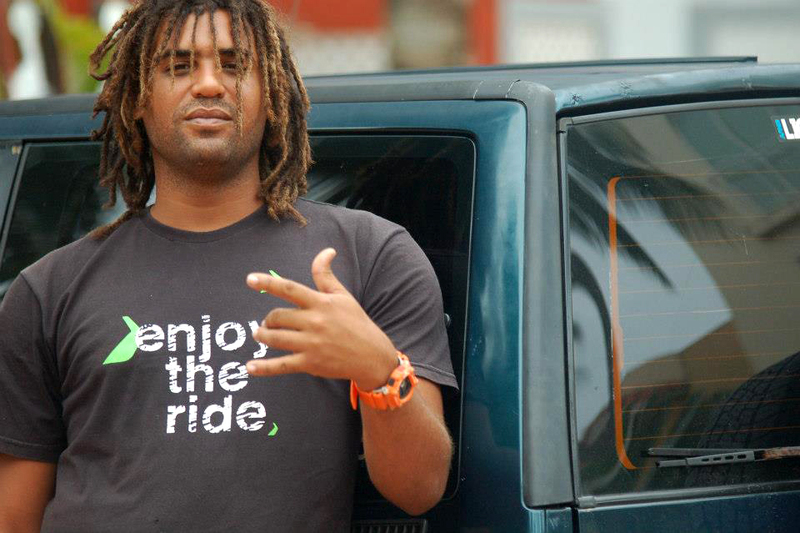 He went on to teach and mentor many of the now famous local riders of Cabarete. 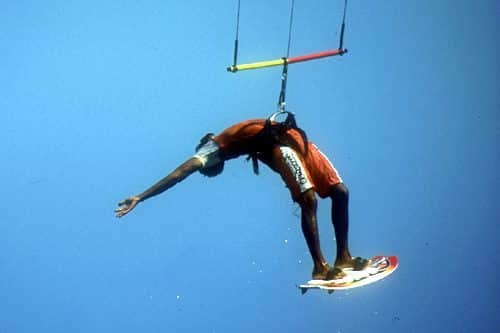 Throughout the years he put in thousands of hours teaching students from all over the world to kiteboard, and quite frankly, the ocean is a safer place because of it. Recently, Wilson graduated to a new level by starting his own kiteboarding school, fittingly named Big Willy’s. 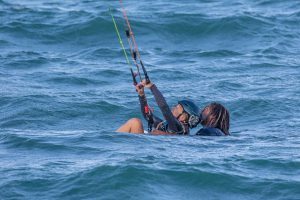 He spends his free time doting over his daughter, Alba, while his superwoman wife and school co-founder, Ella, helps him hold it all down on Kite Beach. 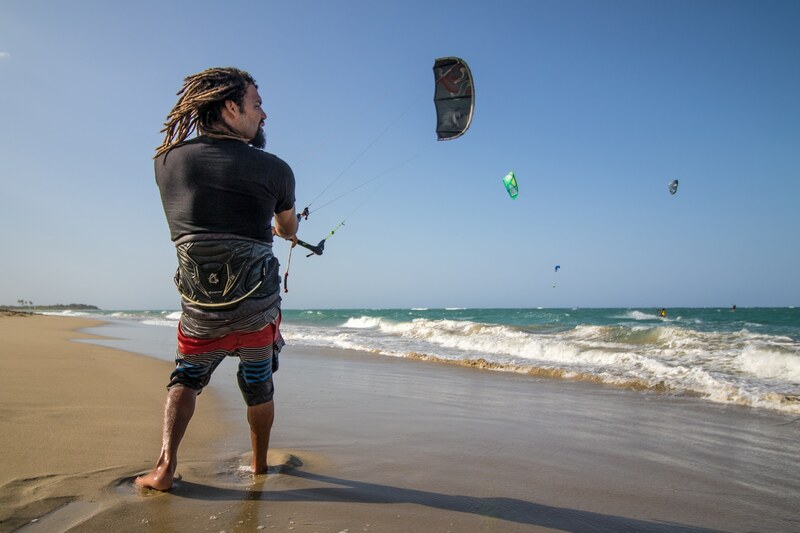 With the popularity of kiteboarding growing and the new announcement of kiteboarding in the 2018 Youth Olympic Games, you can expect that Wilson is and will always humbly play a significant role behind the scenes in the future of kiteboarding in Cabarete. We feel confident and thankful that Cabarete’s reputation is in good hands.